Arghhh that's blowing my mind. He looks too cool to be on the tube, it can't be real! I guess being famous and trying to use public transport must be quite difficult because you're going to have to deal with people like me trying to talk to you. 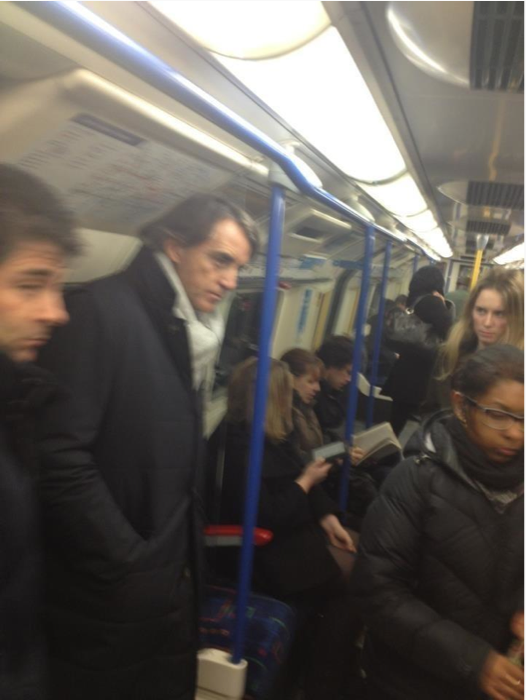 The options available to Mancini here are to pretend he's not Roberto Mancini or pretend that someone is transporting him to Madame Tussaud's.